The Spanish people have been a seafarer’s nation for centuries, even today they argue about which country really was homeland to Christopher Columbus with the Italians. Fact is the Spanish king funded his journey into the New World. Still today most Spaniards enjoy spending time on the water, be it on old fishing boats, motor yachts or under white canvas – they enjoy the great possibilities of Yacht Charter in Spain very often. Even children from coastal regions are taught to sail in sports class. Accordingly the Spanish sailing waters are well equipped for Yacht Charter tourism, which has been thriving for years. Spain boasts several beautiful regions with highly divers aspects: The Balearic Islands as the most important Yacht Charter destination, the Spanish Riviera from the Costa Brava in the North through to the Costa del Sol in the South and the Canary Islands – a strong wind sailing region, situated in the Atlantic Ocean. Common to all of these regions is the good infrastructure for Yacht Charter and easy accessibility – thanks to a host of air connections. In principle they all qualify as destinations all year round. That having said, the Canary Islands are usually headed into in winter, the Costa Brava is more of a summer destination for Yacht Charter and the best season for the Balearics is from April until November even if the winter months are attractive for Yacht Charter tourists as well. The South of Spain is very beautiful in winter too, albeit the water is usually too cold for swimming at that time of the year. The Balearics, most important destination for Yacht Charter in Spain with the islands of Majorca, Menorca, Ibiza, Formentera, Espalmador and the Cabrera Archipelago are very well suited for beginners with their softer winds and easy navigation. It’s here as well, that you’ll find by far the biggest choice of charter yachts and Yacht Charter companies. 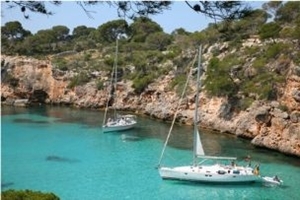 Especially on the East coast of Majorca, the bays and harbours are placed within two to five miles from each other. This is why this region qualifies well as sailing waters for families with children – in contrast to the Canary Islands with long distances, rough swell and strong winds for experienced Yacht Charter sailors. There are large yacht charter fleets with sailboats, catamarans and motor boats for bareboat charters in Spain, especially in the Balearic Islands and Canary Islands. Please check our our Yachtfinder or just ask for offers. And of course we will be glad to send you offers for the most beautiful luxury charter yachts with crew in Spain as well. Spain, especially the Balearic Islands, is a very popular destination for charter holidays on board of luxury yachts, super yachts or crewed catamarans. 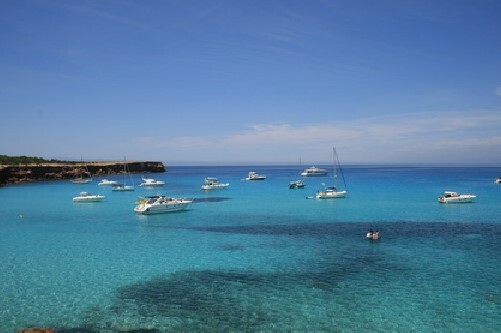 Here you can find more information about luxury yacht charters in the Balearic Islands. We willl be glad to organize your luxury yacht charter in the Spain – please ask for offers! Nautical literature for Yacht Charter: Countless marinas guides by Spanish harbour organisations and tourist offices.